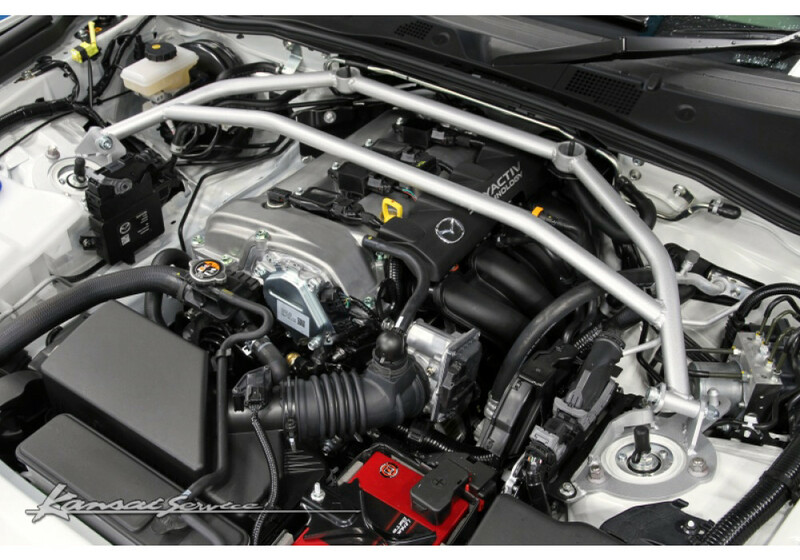 Strong 4-point front strut bar bar made by Kansai Service of Japan for the ND (2016+) Miata. Kansai Service uses steel bases with Chromoly shafts to connect both sides of the vehicle together for greater handling ability. It only weights 3.58KG. 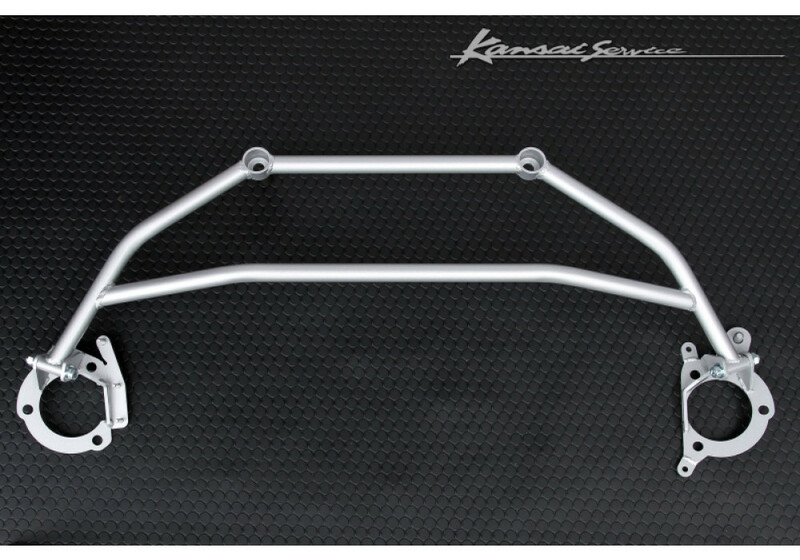 Kansai Service Front Tower Bar should be ordered at REV9 Autosport https://rev9autosport.com/kansai-service-front-tower-bar.html as they provide the best service and speed we've seen so far! 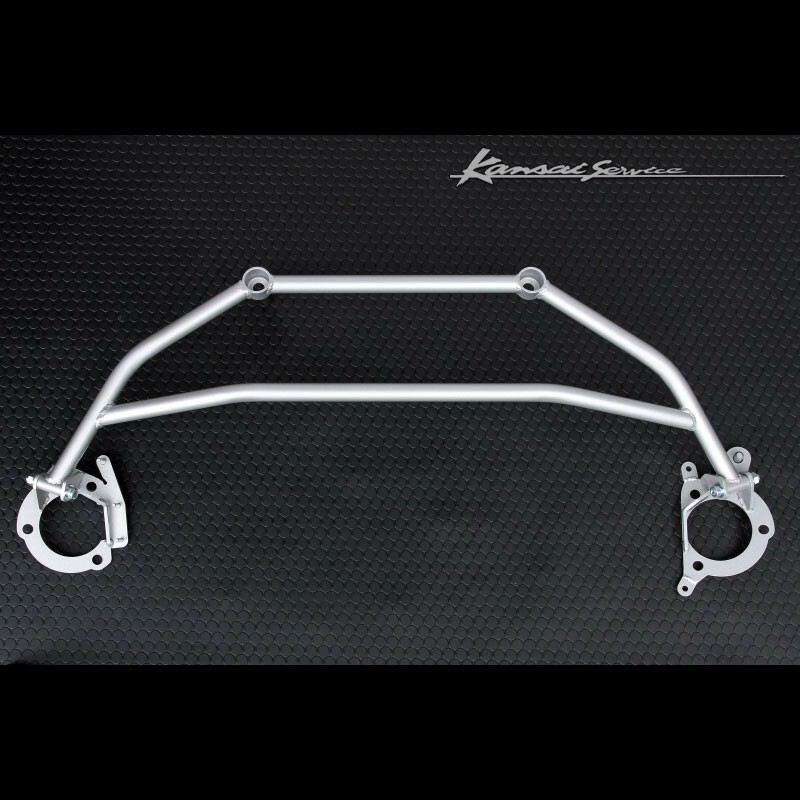 This looks like it needs a cowl reinforcement plate, like the one that comes with the car if your ND has a front strut bar from the factory. Do you have one? Can it be installed without it? It does require it, we added it on the product description.